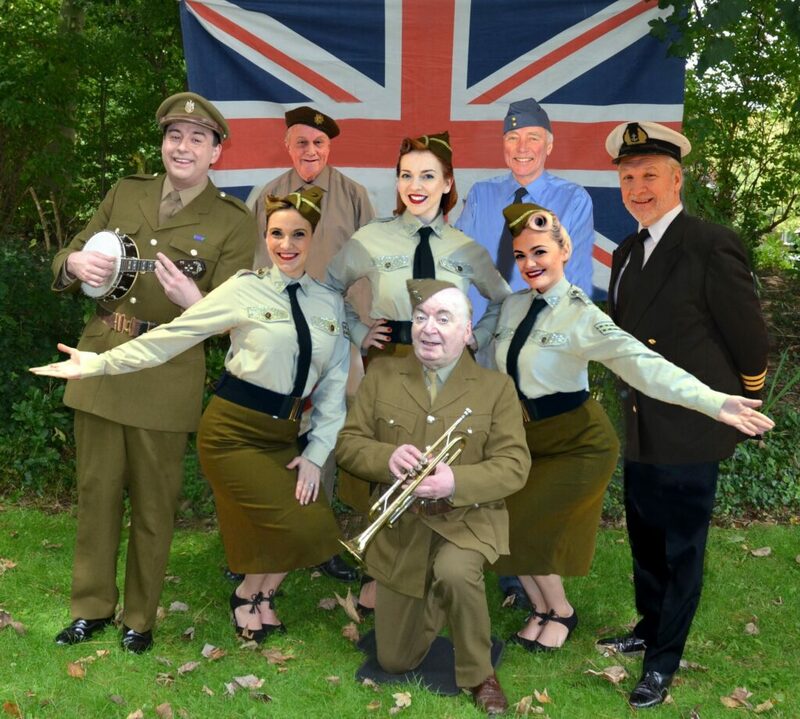 A celebration of War Time entertainment, a tribute to the men and women of the Armed Forces Past, Present and Future. This popular 40’s Variety Show presents comedy multi-instrumentalist Pete Lindup along with ukulele virtuoso Anthony Mason who brings back memories of George Formby, Noel Coward and more. The Bluebirds portray The Andrews Sisters plus individual tributes to Gracie Fields, Anne Shelton and Dame Vera Lynn. Bob More sings all time favourites and pays tribute to Donald Peers. The show is in Forces uniform with a format of music, comedy and songs of the period which along with the live music of our Show Band creates a truly memorable experience. Please contact 01253 403177 or info@duggiechapmanassociates.com for further detail.